“Elderdown”, and a New Book Giveaway! Two days ago, I finished the second draft of “Elderdown”, the fourth and final part of my Kickstarter-funded urban fantasy series. I sent it to the editor and designer. Want to be among the first to read it? Of course you do. 🙂 Then simply write a review on Amazon for any of the previous books in the series, any time during the months of May or June. Don’t have any of the other books in the series? No problem. If you promise to review it on Amazon, I’ll send you one. Paperback or eBook, your choice. The complete series, as of today. Please, if you can spare a few minutes to go to the books’ listings on Amazon or other online retailer, and write a comment, review, or kind word about your favourite book in the series, any time between now and the end of June 2015, I’ll send you a copy of book 4 when it is published this summer. Book One: Fellwater. Book Two: Hallowstone. 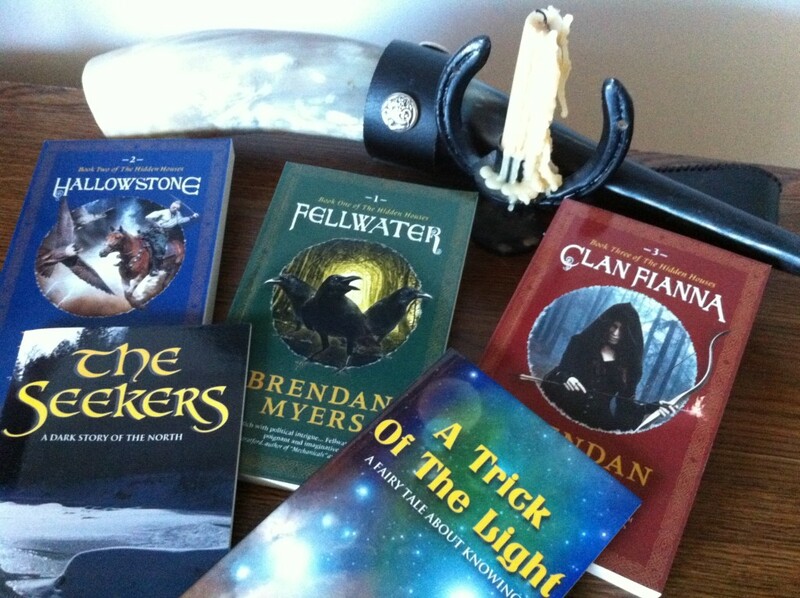 Book Three: Clan Fianna. Reader reviews are essential for promoting anything in this very crowded indie publishing world. Promotion work doesn’t have to be aggressive: after all, no one who reads one book is prevented from reading another. But promotion work does have to be spirited and lively, and especially reader-driven. Many companies that offer promotion services to independent writers will not touch a book that has fewer than 20 reviews or an average rating of less than 4 out of 5 stars. You can also post this link to the books’ homepage to your Facebook and Twitter streams, and simply recommend them to anyone who you think might enjoy them. If you have constructively critical remarks about the books, I’d be grateful if you would email them to me– critical engagement with readers is one way writers become better, after all. Thank you for your generosity and enthusiasm in supporting my work. Paperback editions of the complete series, including the two spinoff novellas. Postscript: What will I do now that Elderdown is soon to be published? I am beginning work on a nonfiction project that I’ve had on my mind for a few years. I am also going to continue the world of the Hidden Houses with short stories and novellas, featuring characters who were marginal in the main series, as well as new characters. I’m thinking of running a Kickstarter project to pay for an illustrated edition of these new stories. And I’m also thinking of a sci-fi project. 8 Responses to “Elderdown”, and a New Book Giveaway! 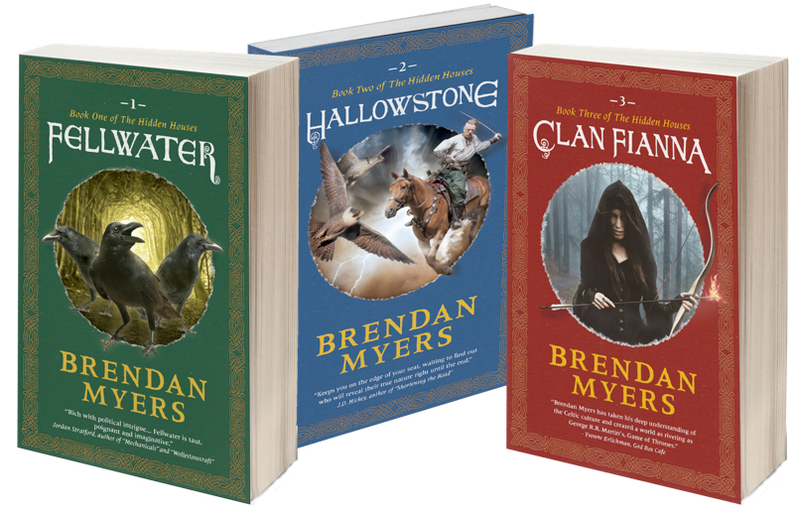 Have reviewed both Fellwater and Clan Fianna and am looking forward to Eldertown. I haven’t read these, but if you would send a copy to my home address (first book please), I would be more than happy to review it on Amazon for you. I’m always looking for a good read and these sound wonderful. Thanks. If you send me a book I will read and review. I love an excuse to read a new book. I’ll review on amazon. I prefer paper, but if it will save you some $$, I’ll go with the ebook. I would love to become a new reader of your work, and a review is an easy price to pay. In fact, I can probably offer several reviews after sharing with a friend or two. Someday when the kids are a little more self-sufficient, I plan to finish a few tales of my own and join this circus–what a good-karma way for a broke fantasy-lover to play along! I’d also love to review your book for you. I have a kindle, so you can send an ebook. Please send the first one if you can. I’m happy to find new indie authors… I really think they are some of the best out there! I would be happy to receive and review a copy of one of your books. I would like to own all three, and would be happy to purchase the other two. Thanks! Would be happy to help you out. Who will win the Second American Civil War? The Twelve Year Warning: Why the world will do nothing about the UN’s latest climate change report. Jakartaman on Who will win the Second American Civil War? Monty Fabu on Who will win the Second American Civil War? Brendan on Who will win the Second American Civil War? jack velten on Who will win the Second American Civil War? Fiona ni'Giollarua on David Guthrie Myers: An Unknown Soldier. Can you help?